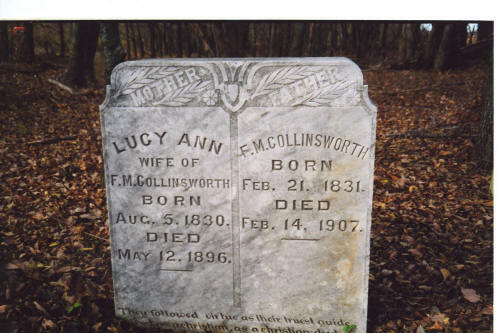 The following records of the Collinsworth family was submitted by the Mary Shirley McGuire Chapter, TDAR. 2. heirs of L. U. Collinsworth dec who are 1) Minnie 2) Willie and 3) D. L.
Examination of this document also shows that F. M. Collinsworth owned property in Denton County, Texas. Document dated 20 Dec 1910. McKinney Democrat, Vol. 1, No 24, July 17, 1884.